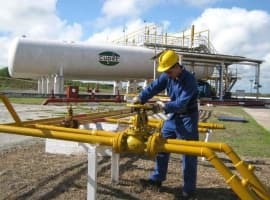 As oil companies fret over meager quarterly earnings because of the low price of oil, Russia’s gas monopoly, the government-controlled Gazprom, says it will be increasing its deliveries to Europe during the next three years and is looking to Asia for more opportunities to sell gas and attract investment. 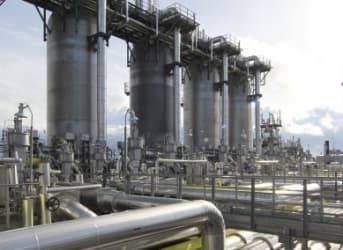 Still, Gazprom remains the largest single gas supplier to Europe, providing it with about 30 percent of its needs, and the company plans to keep it that way, according to Dmitry Lugai, the director of Gazprom’s prospective development. Gazprom’s plans don’t coincide with those of the European Union, which has been looking for alternate sources of fuel. About half the Russian gas going to the EU is piped through Ukraine, which has a difficult relationship with Russia. 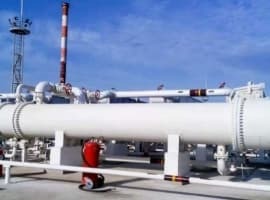 Two recent disputes between Moscow and Kiev have led to a shutoff of the Ukrainian pipeline, and reduced much-needed gas deliveries to EU customers. Russia has already built one pipline that sidesteps Ukraine, called the Nord Stream, which delivers gas to Northern Europe via the Baltic Sea. A second, called the South Stream, was in the works, but Moscow was forced to abandon it because of objections from the EU. Even if Europe manages to remove Russia altogether as a source of gas, Gazprom won’t feel much of a pinch. 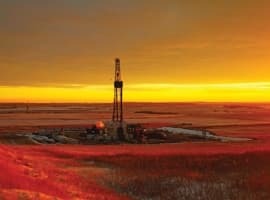 On Nov. 9, 2014, Russia and China signed a preliminary agreement under which Gazprom would supply as much as 30 billion cubic meters of gas per year from western Siberia to China in the next 30 years. “First, this is a geographical diversification,” Medvedev told TASS. “That’s because Asia is the most attractive and prospective market for both pipeline gas and liquefied natural gas.” Gazprom’s deputy CEO pointed to the strong rates of economic growth throughout the region and its increasing use of gas to generate electricity. “Second, our target group of investors also has a huge potential,” Medvedev said. “This refers to Asian investors who have both financial resources and the whole infrastructure for investments,” including well-developed stock markets and banks capable of financing large energy projects.